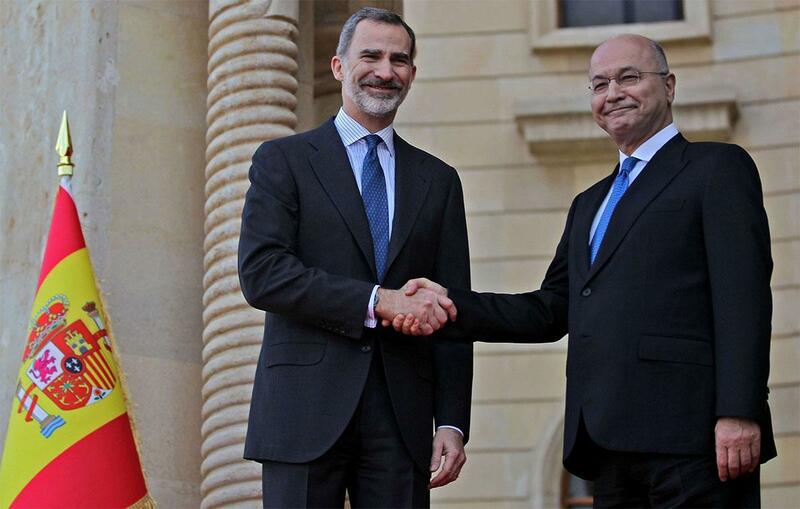 BAGHDAD, Jan. 30 (Xinhua) -- Spanish King Felipe VI arrived Wednesday in a surprise visit to the Iraqi capital Baghdad and met with Iraqi President Barham Salih, the official television reported. Salih received the Spanish king at his office in the Green Zone in central Baghdad and they discussed bilateral ties, state-run Iraqiya channel said. According to media reports, the king is also expected to visit the Spanish troops stationed at a military base near Baghdad.